Dr. Poston served as Dean of the Faculty/Vice President for Academic Affairs at Pitzer College from 2012-15. Prior to coming to Pitzer, Dr. Poston served as the Division Director for the Human Resource Division in the Education Directorate at the National Science Foundation from 2011-12. From 2005-2011, she served as Dean of Faculty and Professor of Biology at Skidmore College where she worked with colleagues to re-envision the science program, supported efforts to broaden the participation of underrepresented students and faculty in science, technology, engineering and mathematics (STEM) disciplines, and sought to enhance the capacity and infrastructure of the STEM facilities. She spent over twenty years as a professor in the Department of Biology/Botany at Howard, where she focused on undergraduate education, served as curator of the university herbarium, and worked to develop the environmental science program. Dr. Poston previously served as a program director and deputy division director in the Biological Sciences Directorate at the National Science Foundation (NSF) where she was responsible for programs to enhance infrastructure for biological research collections, research instrumentation, and field station facilities. She has served as the Chair of the congressionally mandated Committee on Equal Opportunities in Science and Engineering and the NSF Advisory Committee for the Biological Sciences Directorate. She has also served as a member of the National Academy of Sciences, National Research Council Board of Life Sciences. 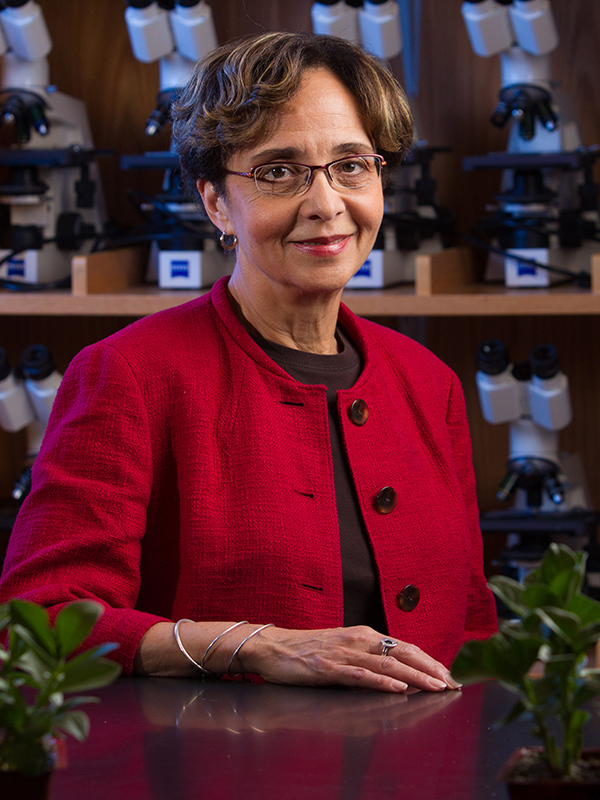 She was recently elected as a Fellow by the American Association for the Advancement of Science, and is currently a member of the Board of Directors of the American Institute of Biological Sciences as well as the Advisory Committee for AACU/ Project Kaleidoscope. Broadening participation of underrepresented students and faculty in science, technology, engineering and mathematics (STEM) disciplines, particularly in the context of the changing nature of the professoriate to non-tenure-track appointments; undergraduate biology education with a particular interest in effective pedagogical practice for student success in introductory courses; plant systematics, especially the evolutionary and phylogentic relationships of the neotropical family Loasaceae. Fortenberry, N. L., Cady E., T., Bramwell, F., Clewell, B., Flaris, V., Jolly, E., Martin, D., Macdonald, H., Poston, M., Rodriguez, A. Spalter-Roth. (2009). Metrics for measuring broadening participation in NSF programs. Journal of Women and Minorities in Science and Engineering, 15(3): 245-261. Hartline, B. K., and M. E. Poston (2009). The Mandate for Broadening Participation: Developing the Best Minds and Solutions, in Broadening Participation in Undergraduate Research: Fostering Excellence and Enhancing Impact, ed. M. K. Boyd and J. L. Wesemann, Council on Undergraduate Research, Washington D.C.
Hufford, L., M. McMahon, R. O’Quinn, and M. E. Poston, 2005. Cultivating the Next Generation of Scientists, M. Poston, Scripps College, Claremont, CA. April 2013. Women Scientists at Liberal Arts Colleges: Are their Lives Different? Poston, Iowa State University, Ames, IA. March, 2009. Race in the Classroom. M. Poston (invited panelist), Vassar College, NY. May, 2008.